The center and power forward would dominate 90% of the rebounding but very rarely dribble the basketball. The guards would dribble the basketball up and down the court but very rarely would they enter the key area. 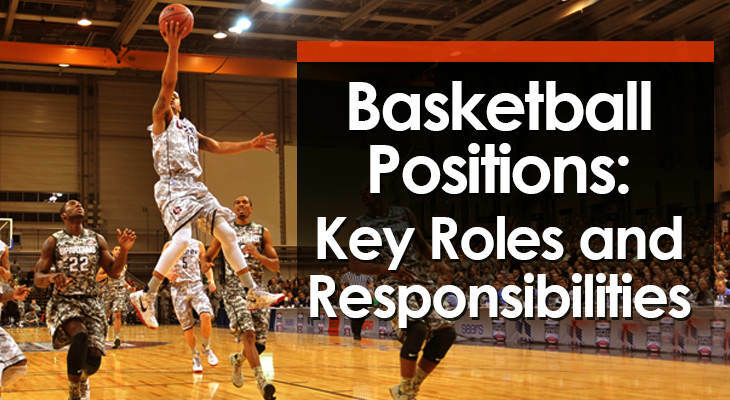 While basketball has advanced a lot in recent times, the players who fill these basketball positions still have specific responsibilities. Notable Point Guards: Chris Paul, Magic Johnson, Steph Curry, and John Stockton. 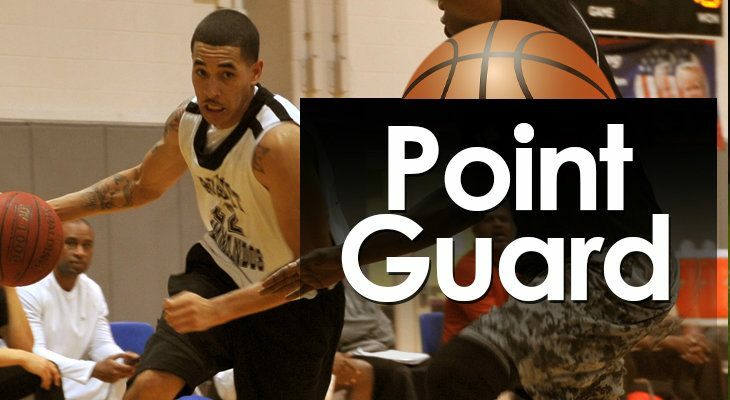 The point guard (also known as the floor general or the 'one') is often one of the shortest players on the team and is responsible for advancing the basketball up the court and setting up the team's offense. This requires the point guard to be highly skilled at dribbling and passing while rarely turning the basketball over to the opposition. Once the offense has been set up, the point guard must be able to read what the defense is doing and make smart decisions. A high level of basketball IQ is crucial for this position which is why the point guard is often referred to as the on-court coach. The player filling the point guard position must be unselfish (there's nothing worse than a selfish point guard) and aim to get their teammates involved on the offensive end of the floor. This requires crystal clear knowledge of the playbook as well as understanding their teammate's strengths and weaknesses. Knowing what areas of the court your teammates thrive in allows the offense to take advantage of mismatches. As with all positions, the point guard should be able to knock down an open outside shot and also penetrate and pass to their teammates. Defensively, the point guard is responsible for guarding and disrupting the opposition's main ball-handler. They do this by playing aggressive (but smart) full-court defense attempting to tip the basketball loose but ensuring they always stay between their opponent and the basket. Notable Shooting Guards: Michael Jordan, James Harden, Kobe Bryant, and Reggie Miller. 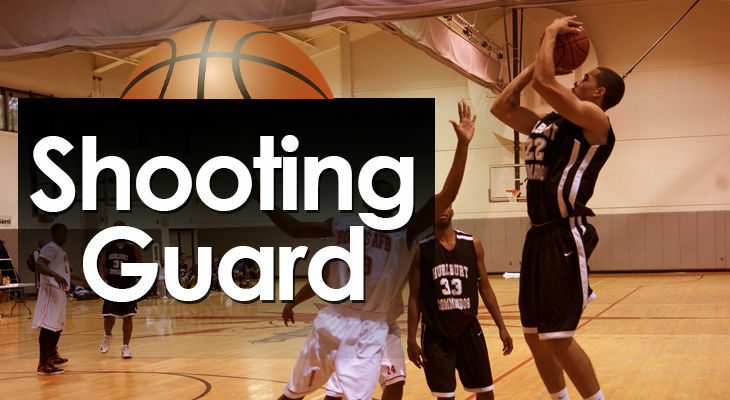 The shooting guard (also known as the off guard or 'two') is often one of the shorter players on the team and generally starts an offensive possession on the wing. This player must be able to shoot consistently from outside, midrange, and close to the basket, as well as be able to make a variety of layups including floaters, euro steps, and reverse layups. Being able to score from anywhere on the floor means the shooting guard is always a threat and many basketball plays can be ran for them. They're also the team's secondary ball-handler and can help advance the basketball up the court if the point guard is competing against a tough opposition defender. On the defensive end of the floor, a great shooting guard defender is quick and able to avoid screens from the opposition's bigs. Notable Small Forwards: LeBron James, Scottie Pippen, Kevin Durant, and Larry Bird. 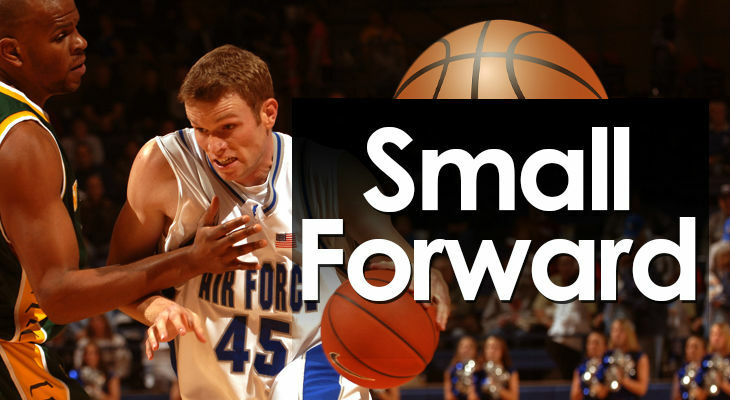 The small forward (also known as the 'three') is often the most versatile of the 5 basketball positions on the court both offensively and defensively. They're long and athletic which allows them to be incredibly disruptive on the defensive end of the court and usually makes them the team's best defensive player. Similar to the shooting guard position, they're able to shoot consistently from outside, score inside, and also penetrate and create for their teammates. To put it simply, they're the 'swiss army knife' of a basketball team. They can do everything on a basketball court! This includes helping out the two 'bigs' with rebounding the basketball on the defensive end of the floor. Notable Power Forwards: Tim Duncan, Dennis Rodman, Karl Malone, and Kevin Love. 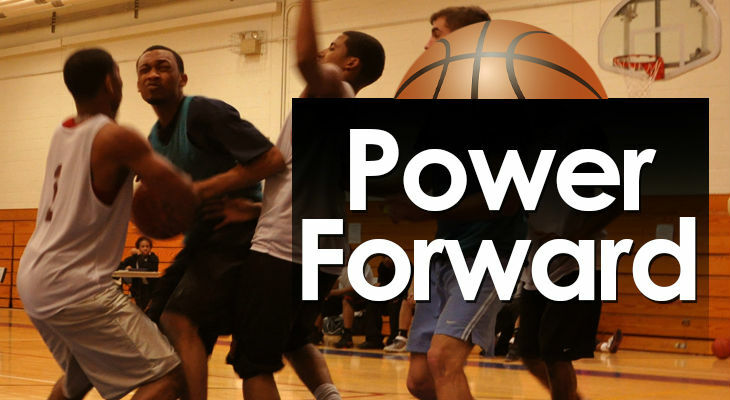 The power forward (also known as the 'four') is usually the second tallest player on the team and is required to be both strong and skilled. In past years, the player in this position always played close to the rim and scored the majority of their points in the paint. In today's game, the power forward needs a good midrange jump shot (especially from the short corner) and will be even more effective if they're able to consistently hit a three-point shot. Players who can do this are known as a 'stretch four'. Whether this player spends most of their time inside the three-point line or on the perimeter will depend on the offense the coach chooses to run with their team. Defensively, having size and strength is important for boxing out their opponent and securing rebounds. Notable Centers: Shaquille O'Neal, Joel Embiid, Wilt Chamberlain, and Bill Russell. The center (also known as the 'five') is usually the tallest and strongest player on the team and spends most of the game close to the basket. Offensively, most centers don't have a consistent midrange shot or a three-point shot, nor are they typically the focus of most offenses. Instead, they will score often score the majority of their points by staying close to the rim and scoring off offensive rebounds or by receiving short passes when a perimeter player penetrates and their defender is forced to provide help defense. This requires that they have good hands and a high basketball IQ to know where to move around the rim to give passers the best angle. The best centers have a good post game and can score with a variety of moves from the low post area. This is especially necessary when they get switched onto a smaller and weaker player. 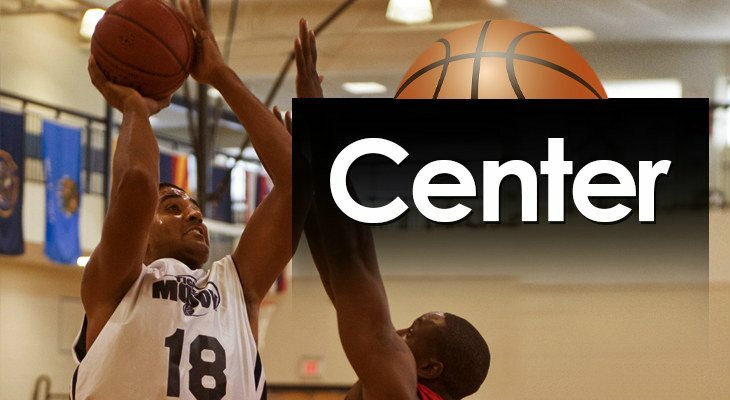 Defensively, the two main responsibilites of a center is to defend the basket and rebound the basketball. The center doesn't necessarily need to be a great shot blocker (though that certainly helps); simply taking up space in the paint and forcing opponents to change their shots is often enough to prevent a score. Notable Sixth Men: Manu Ginobili, Eric Gordon, Jamal Crawford, and Jason Terry. The 6th man is the first player to come off the bench and enter the game. This player can vary from game-to-game, but on most teams there is a specific sixth man who enters each game first off the bench. 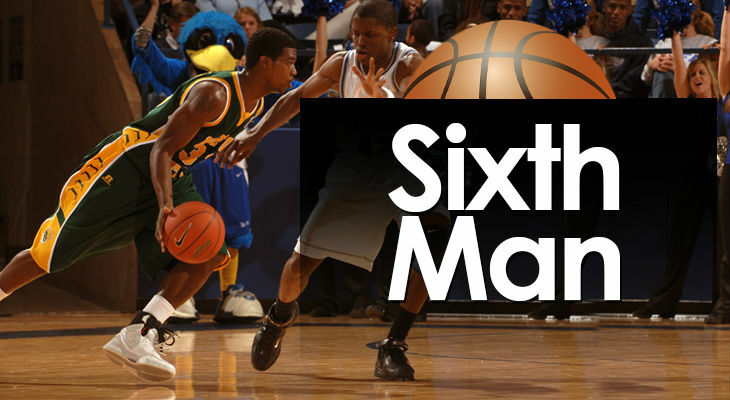 In regards to skill level, the sixth man is often as skilled as the 5 starting players. Possibly more skilled than several of them (it's never a good idea to start with your 5 best players on the court). They're usually a versatile player who can fill a number of different basketball positions. Who they substitute off the court will usually depend on matchups and which player starts the game poorly. The main requirement of a sixth man is that they must bring energy to the game when they step on the court. 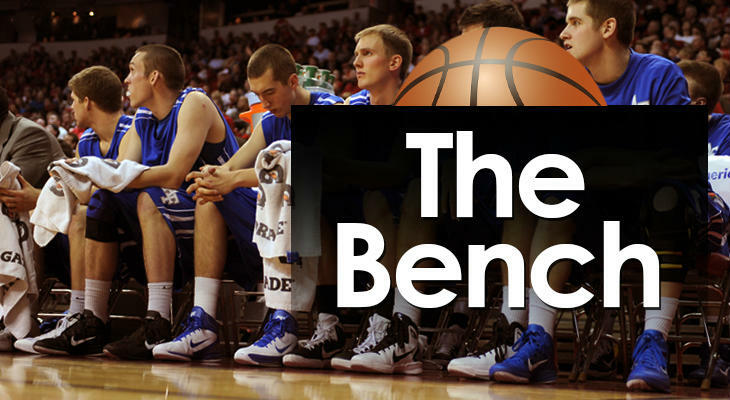 The rest of the players who begin the game on the sideline (usually 2 - 4 more players) are known as 'the bench'. The amount of minutes the players on the bench will get on the court vary significantly depending on the level of competition the team's playing. For youth basketball, I always recommend coaches give all players an even amount of court time until the last few minutes of a close game. For high school or older, the players on the bench often have much less of a role on the team in regards to playing time. Some will get 10 - 15 minutes, and others won't player a minute at all. Regardless of how many minutes they receive on the court, the bench needs to be constantly positive and encouraging the players on the court. Never overlook the importance of having a great bench presence. We've now entered into an era of 'positionless basketball'. Meaning all players are now required to do a bit of everything regardless of which basketball position they're listed as. There are now 7-feet-tall point guards who can hold their own against the best big men in the league when competing for rebounds. Just as there are centers who can easily lead the fast break. If you want your players to compete in the most elite competitions in the world one day, you must be training them to play (and guard) any position on the court.